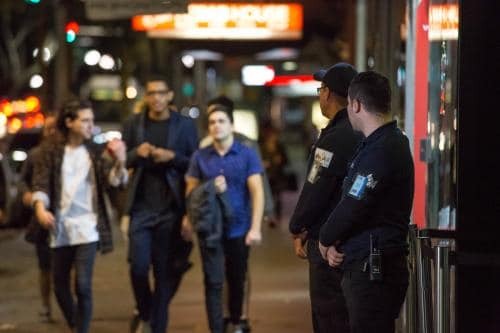 Since commencing operations in 2011, Urban Protection Group has been proudly serving NSW companies with comprehensive security solutions that are tailor-made to meet their specific security requirements. Besides our own values, we have adopted a unique approach of incorporating your values alongside ours. This eliminates tension and ensures that when our people interact with yours, a harmonious working relationship ensues, where our staff are able to blend in with the culture of your organisation. To help this process along, we ensure all of our officers have excellent communication skills, a positive attitude, professional presentation, and are motivated to perform to a high standard. Running a high-performance security operation requires a thorough understanding of Workplace Health and Safety. Urban Protection Group holds a WHS 4801 certification, which means we maintain a work environment that operates at the highest level of safety. All of our staff bring this knowledge into your workplace, which means less chance of incidents, and fewer disruptions to your workflow. At Urban Protection Group, our ultimate aim is client satisfaction and absolute premium service. Visit our services pages, or contact us to find out how we can protect your business. We believe in being honest and transparent in all facets of our operations, and are always available to openly discuss any issues you may have. And because we are accredited with the Australian Security Industry Association, our standards are aligned with the industry’s best practice in professionalism and ethics. We believe a good security service is about more than just having a body on-site. With Urban Protection Group, our guards are trained to deliver a high level of customer service with their communications skills, presentation, and attitude. This extends to our management team, who are committed to being available to you whenever you need them. Urban Protection’s Quality Management System means our operational processes work at the highest level of efficiency. This means we can focus on providing a consistently high level of service with fewer errors. We have been awarded the WHS 4801 certification, which means we are able to maintain a work environment that operates under the strictest safety measures. All of our staff undertakes site induction regular training in health and safety, and for those deployed in more high-risk areas like crowd control, extra training is provided. Because new threats are constantly emerging, it’s imperative that we are up-to-date with the industry’s best practices to provide the best solutions for our customers. Security technology is constantly evolving, so we make sure we are offering security solutions based on the latest technology, and that our staff is proficient in using it. This along with our ongoing training, monthly audits, and our staff reward and recognition system means we are at the forefront of our industry. If you would like to know more about our high standards and what peace of mind we can provide for your organisation contact us today for a confidential chat.